In terms of height and density yes. But Tokyo has countless neighborhoods that are like Times Square. 42nd Street would be like a random alleyway in Tokyo, almost every street is lit up in neon and the neighborhoods are still very dense and urban. I think Tokyo is more impressive in terms of visual overload - lights, swarms of people, neon ads, etc. NY has history. Of course it can't be as slick as Tokyo. But give me New York's art deco classics anyday over Tokyo's 'clean' blandness. Tokyo horizontally and I would think Hong Kong would be most impressive vertically. The relative size of Manhattan has nothing to do with the relative size of NYC. And the relative size of NYC has nothing to do with whether or not NYC is a "big city" geographically. Obviously city limits are arbitrary. But Tokyo has countless neighborhoods that are like Times Square. 42nd Street would be like a random alleyway in Tokyo, almost every street is lit up in neon and the neighborhoods are still very dense and urban. I think Tokyo is more impressive in terms of visual overload - lights, swarms of people, neon ads, etc. I don't think you've been to Tokyo. There is no Tokyo neighborhood that has the density and vertical feel of Times Square, and there is no Tokyo street comparable to 42nd Street. If you are talking about neon lights only, then yes, Tokyo has different zoning, and neon is everywhere, while in NYC it is strictly regulated. But there is no neighborhood in Tokyo that will compare with Times Square/42nd Street area. Also, if you are talking pedestrian counts, then yes, places like Shibuya crossing are comparable. But not in built form, at all. Not even close. Yes, there is nowhere in a civilized city like tokyo that is as ugly and filthy as times square. Times square = mediocrity applied in excess. That's something tokyo should be proud of. Since when, the 80s? Have you been to Times Square lately?? Tokyo is probably great to visit, but in terms of living there, no thanks. To much lights, too many people and not enough space to get away from the crowds. At least 14% NYC is public green space, compared with 3.4% in Tokyo, making NYC far more livable imho. 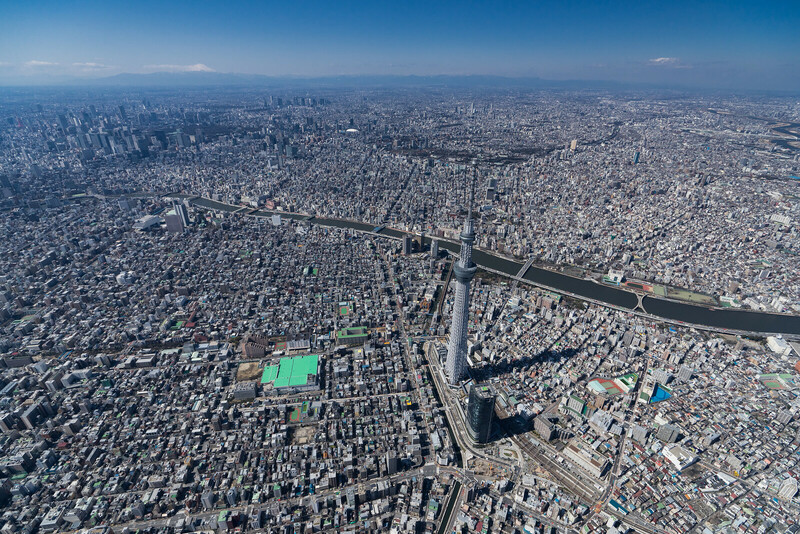 You just need to look at the pic of Tokyo above, where's the green space and parks on it. I find green space very important personally, and I also agree that NYC's Art Deco Skyscrapers have far more character than many of the current crop of nondescript glass skyscrapers.